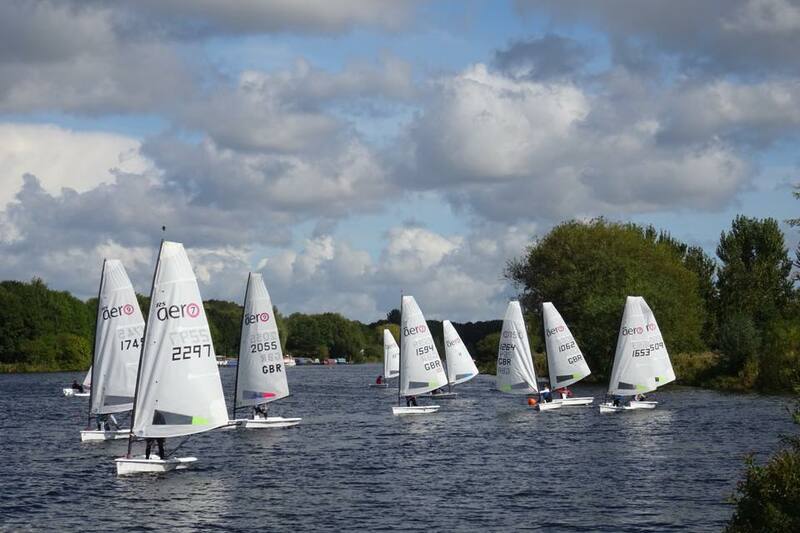 The 2017 RS Aero Northern Circuit title, sponsored by Green Frog Genovate, went all the way to the wire with a grand showdown between the top 5 contenders at the 6th and final event, the UK River Champs on the Trent at Nottingham. A 3 way tie at the top of the table had 'the flying Scot' Iain McGonigal (East Lothian), Steve Stewart (Yorkshire Dales) and Andrew Molyneux (Huddersfield) all on 8pts. Each were hoping to shave off a point or two to take the title. Additionally a good counter on the Trent would have both Matt Thursfield (Chelmarsh) and Ben Rolfe (Burghfield) jump back into the running. They had one final shot, would the Midlander prevail or could Ben pillage the trophy back down to the south? Intense rivalry was building for the coveted Top Lady title which was equally tight with Jackie Craven (Yorkshire Dales) and Julie Archer (Ullswater) locked in combat, also tied and set for a final showdown on the challenging waters of the Trent! The forecast looked good for Nottingham and with pre-entries up to 18 a quality counter was going to be hard earned! On the challenging waters of the Trent it was Andrew Molyneux of Huddersfield who prevailed with a 3rd, just enough to edge out his rivals by one point. As the wind died towards the end of the day an elated Jackie Craven glided away to take the Ladies title for 2017 on tie break. 32 RS Aero sailors competed in at least one event with some 16 Northern and Scottish clubs represented. The 2017 circuit visited some fantastic and mixed locations ranging from open sea, attractive lakes and the fun of the river. Venues included Ullswater for the Northern Champs, Yorkshire Dales, North Berwick in Scotland, Filey, Bala in North Wales and the Trent. In addition a 2017 Scottish Championship was held at Aberdeen & Stonehaven YC. Many thanks to the circuit sponsors Green Frog Genovate, the innovative power providers, for their support of the circuit, wonderful trophies and glassware. The circuit prize giving was held at the UK Inland Champs at Northampon with all winners in attendance. In 2018 the RS Aero Northern circuit will expand to visit fresh locations and new RS Aero fleets. Details will start to be available soon on the UK Event Page of the class website.